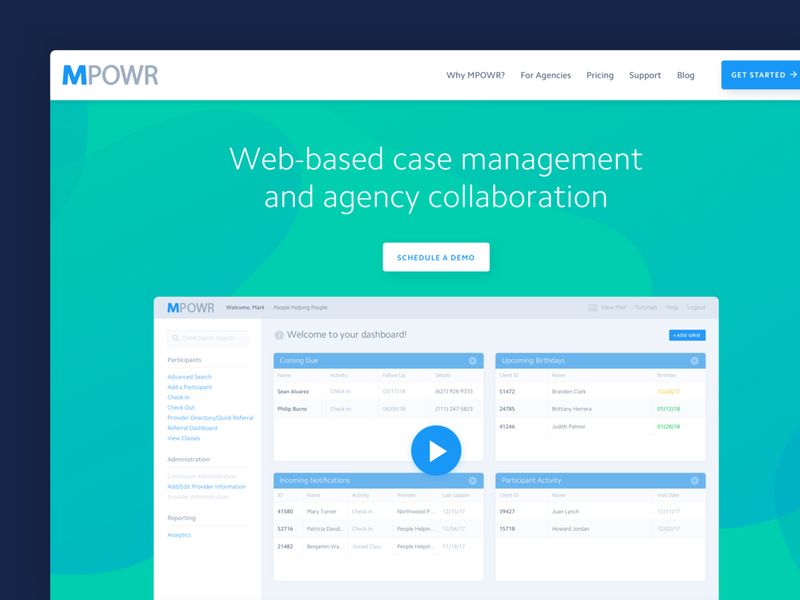 For more than 10 years, MPOWR has helped agency networks better collaborate and create real, impactful change with their case management system. Originally developed to help homeless individuals find stabilization in life, MPOWR has since evolved to encompass multiple industries such as community impact, education, public safety, family services and much more. 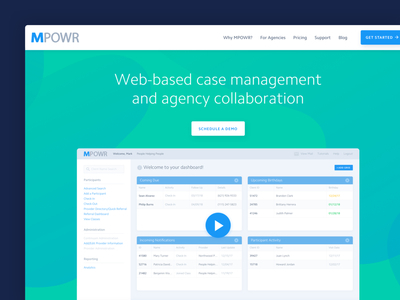 MPOWR approached us needing to re-energize their brand and web presence to promote a forward-thinking and humanistic company culture. In a saturated industry, it was pivotal that we help differentiate the company by focusing on their unique approach to collaboration and collective impact.